PHMSA announces increase in LNG Facility User Fee. On July 3, the Pipeline and Hazardous Materials Safety Administration (PHMSA) issued a Notice advising operators of liquefied natural gas (LNG) facilities that the LNG Facility User Fee will increase to 5 percent of PHMSA’s total gas program costs. The adjustment is intended to align the fee more closely with PHMSA’s allocation of resources under its gas program. PHMSA will implement the increase incrementally over a three-year period to reduce the financial impact. Comments on PHMSA’s policies and practices in establishing the user fee are due September 2, 2014. PHMSA requests further comments on forms. On July 1, PHMSA issued a Notice requesting additional comments on the revised the Operator Assignment Request Form (PHMSA F 1000.1) and the Operator Registry Notification Form (PHMSA F 1000.2). The revised Forms were previously noticed for comment in March 2014 and PHMSA received comments from the Pipeline Safety Trust expressing support for the proposal to collect information regarding the description of facilities and pipeline mileage on a state-by-state basis. PHMSA’s current notice acknowledges this comment, provides 30 days for additional comments, and announces that the Information Collection will be submitted to the Office of Management & Budget (OMB) for approval. Comments are due on July 31, 2014. The forms and instructions can be found here. PHMSA requests comments on information collection request. On June 26, PHMSA issued a Notice requesting comments regarding the renewal of an existing information collection relating to operators’ written Public Awareness programs. Comments are due August 25, 2014. PHMSA announces updated standards for submitting data to the National Pipeline Mapping System. PHMSA has announced that the guidance document entitled, “Standards for Pipeline, Liquefied Natural Gas and Breakout Tank Farm Operator Submissions,” has been revised. The standards provide guidelines to operators when submitting location and attribute data to the National Pipeline Mapping System (NPMS) Repository. 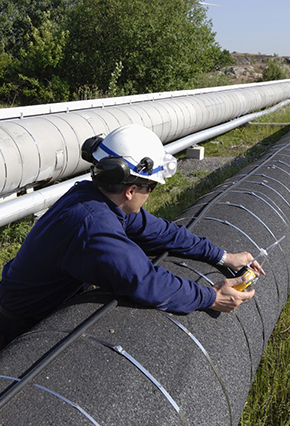 Did you miss PHMSA’s July 2 public workshop on Pipeline Safety Management systems? Watch it here. PHMSA Rulemakings. The table below reflects information on the status of PHMSA rulemakings as reported in the Department of Transportation’s (DOT) June Significant Rulemaking Report. Additional information from the Office of Management and Budget’s (OMB) Office of Information and Regulatory Affairs (OIRA) is here. Bureau of Transportation Statistics seeks approval of information collection request involving near misses on the OCS. The Bureau of Transportation Statistics (BTS) issued a Notice requesting comments on a proposed collection information collection entitled “Voluntary Near Miss Reporting in Oil and Gas Operations on the Outer Continental Shelf (OCS).” BTS would collect and publish aggregate information that can be used to improve the safety of oil and gas operations on the OCS. Comments are due September 2, 2014. *The California Public Utilities Commission seeks comments on proposed pipeline safety rules. On July 8, 2014, Administrative Law Judge Bushey issued an order establishing the comment deadlines for the California Public Utilities Commission’s (CPUC) proposed safety and reliability regulations for natural gas transmission and distribution pipelines. The purpose of the regulations is to establish minimum requirements for the design, construction, quality of materials, locations, testing, operations and maintenance of facilities used in the gathering, transmission and distribution of gas and in LNG facilities for safety purposes and to provide for adequate service by gas operators. Comments on the proposed changes are due July 18, 2014; reply comments due July 25, 2014. *The CPUC approves budget for natural gas pipeline safety research and development. On June 26, 2014, the CPUC adopted Resolution G-3495 approving the 2014-2015 fiscal year budget for the California Energy Commission, which administers the state’s public interest energy research program. The $24 million budget includes an allocation of $2.5 million for natural gas pipeline safety research and development. SB 1389 (Hill): This bill would prohibit a gas corporation from using the “grandfather clause” in 49 C.F.R. Part 192 to determine the maximum allowable operating pressure (MAOP) for an intrastate gas transmission line. The federal pipeline safety regulations currently allow operators to determine the MAOP for a gas pipeline by using the highest actual operating pressure that a segment experienced during the 5-year period preceding July 1, 1970. SB 1389 would prohibit the use of that provision and require operators of intrastate gas transmission lines to determine MAOP solely on the basis of the CPUC’s rules or orders. The bill unanimously passed the Standing Committee on Energy, Utilities and Communications on May 5 and is pending before the Senate Committee on Appropriations. *Michigan forms task force to review pipeline safety. On June 26, 2014, Michigan’s Director of the Department of Environmental Quality and Attorney General announced the formation of the multi-agency Great Lakes Petroleum Pipeline Task Force. In addition to reviewing a response expected to be submitted by Enbridge regarding the integrity of its pipeline under the Mackinac Straits, the Task Force will address the state’s emergency management preparedness for spills; coordination of permitting issues for pipeline upgrades and replacement; and the creation of a state website to serve as an information clearinghouse for Michigan residents. *The Michigan Public Service Commission proposes to incorporate federal safety regulations. On July 1, the Michigan Public Service Commission announced a public hearing on proposed amended rules that adopt by reference the current federal gas safety standards as set forth in 49 CFR parts 191, 192, and 199. In addition, the proposed rules would adopt updated technical standards and include a provision that clarifies the disconnection or abandonment of indoor gas facilities. The public hearing is scheduled for July 17, 2014. H 7714 Sub A / S 2450 Sub A: Effective July 1, 2014, these bills require excavators to provide specific information regarding the location of a planned excavation, including the specific street address for nearby buildings and any other information to assist a utility in determining where the excavation is planned to occur. They also require that any contact with underground facilities be reported to the affected utility immediately, and that any potential violation of the damage prevention law be reported to the Rhode Island Public Utilities Commission within 30 days. Texas Railroad Commission proposes rule changes. At a June 17 public meeting, the Texas Railroad Commission (TRRC) proposed to adopt by reference the latest versions of PHMSA’s 49 C.F.R. Part 191, 192, 193, 195, and 199 pipeline safety and drug and alcohol regulations, as well as the Department of Transportation’s 49 C.F.R. Part 40 drug and alcohol testing regulations. The adoption would incorporate changes made to PHMSA and DOT regulations since the prior TRRC adoption in October 2011. The TRRC also has proposed to clarify that farm tap odorizers are subject to odorization testing requirements, and further clarify that operators need not assign ID numbers to such odorizers or prepare equipment reports for wick-type odorizers. The proposed amendments were published in the July 4th Texas Register, and comments are due August 4th. More information is available here. Texas Railroad Commission hosting gathering line workshops. The TRRC is hosting a series of workshops to discuss the regulation of gas and hazardous liquid gathering lines. Last year, the Texas Legislature enacted a new law, HB 2982, providing the TRRC with the authority to establish safety standards for hazardous liquid gathering lines in rural areas and gas gathering lines in Class 1 locations. While the law includes a provision that limits the ability of the TRRC to exercise all of its new authority before September 1, 2015, the agency is allowed to collect information from pipeline operators before that date. The gathering line workshops are being held from May 21 to July 30, 2014, in San Antonio, Amarillo, Midland, Fort Worth, Rockport, and Cotulla, Texas. TRRC also announced that it will be hosting a Pipeline Safety Seminar with PHMSA staff in San Antonio from September 9 to 11, 2014. PEER v. PHMSA. In April 2013, the Public Employees for Environmental Responsibility (PEER) filed a lawsuit against PHMSA under the Freedom of Information Act (FOIA), the federal law that provides the public with the right to obtain access to federal agency records. The lawsuit suit, pending in the U.S. District Court for the District of Columbia, alleges that PHMSA failed to comply with the statutory deadline for responding to a pair of FOIA requests that PEER sent to PHMSA in October 2012. PEER’s requests sought the release of agency records relating to the onshore oil spill response plan program requirements in 49 C.F.R. Part 194. PHMSA is responsible for administering that program under the Oil Pollution Act of 1990. PHMSA submitted a status report in April 2014. The report indicated that PHMSA had 102 FOIA requests pending; that PHMSA’s FOIA program manager and two senior attorneys who participated in processing FOIA requests had recently retired; and that the combination of these factors had undermined PHMSA’s ability to process FOIA requests. Nonetheless, the report stated that PHMSA has responded to PEER’s first request, and that the agency produced 59,000 pages of documents, including 108 onshore oil spill response plans, in response to its second FOIA request. The report went also explained that PHMSA would provide PEER with 94 additional onshore oil spill response plans by October 1, 2014, and produce the 65 remaining plans after finishing the review, approval, and redaction process. According to the court’s docket, PHMSA’s next status report is due on or before August 1, 2014. API RP 1173 on Pipeline Safety Management Systems open for balloting and public comments. The American Petroleum Institute (API) and American National Standards Institute (ANSI) have initiated the balloting and public comment process on the final draft of API Recommended Practice 1173 addressing recommended practices for Pipeline Safety Management Systems. Only members of the API Standards Committee can vote, but public comments are accepted online until August 1, 2014 via the API ballot site.